Just a quick post. Yesterday, we went for a short hike through the hills above San Clemente and then looped back home along the beach. A beautiful and relaxing way to spend a Sunday afternoon. During the week, the beaches here in San Clemente are typically empty with only a handful of people walking or playing in the water in addition to the occasional group of fishermen bringing in their catch. 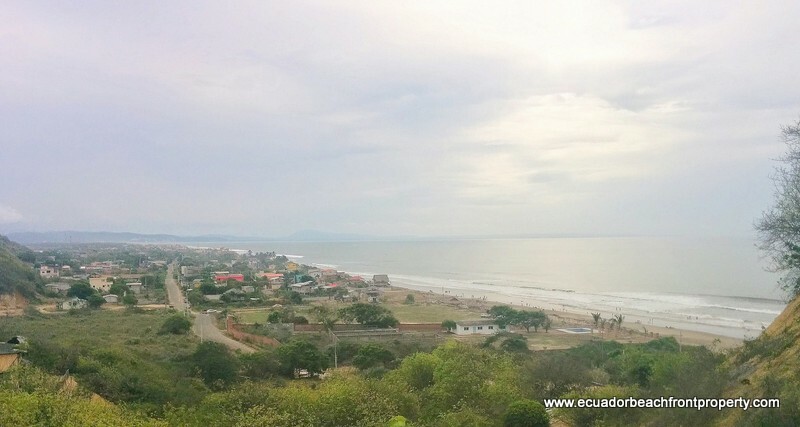 The beaches on weekends, while rarely ever crowded except for major holidays, are nevertheless full of activity. 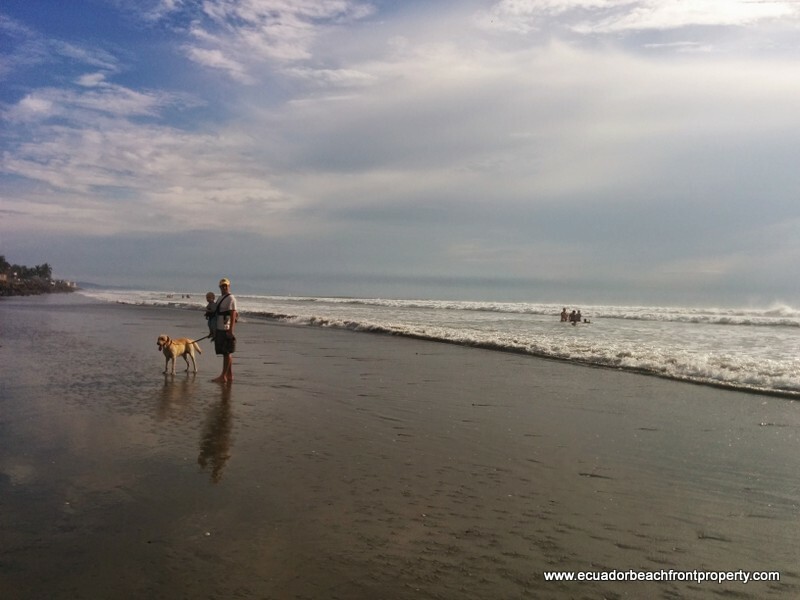 Families visit the beach from nearby inland towns and spend the day together jumping in the waves, making sand castles, and playing the requisite game of soccer. Our beach bum canine Coco with a spectacular view of Punta Bikini as the backdrop on a “busy” Sunday afternoon. On the right, fishermen and locals crowd about a fishing boat to inspect the catch. 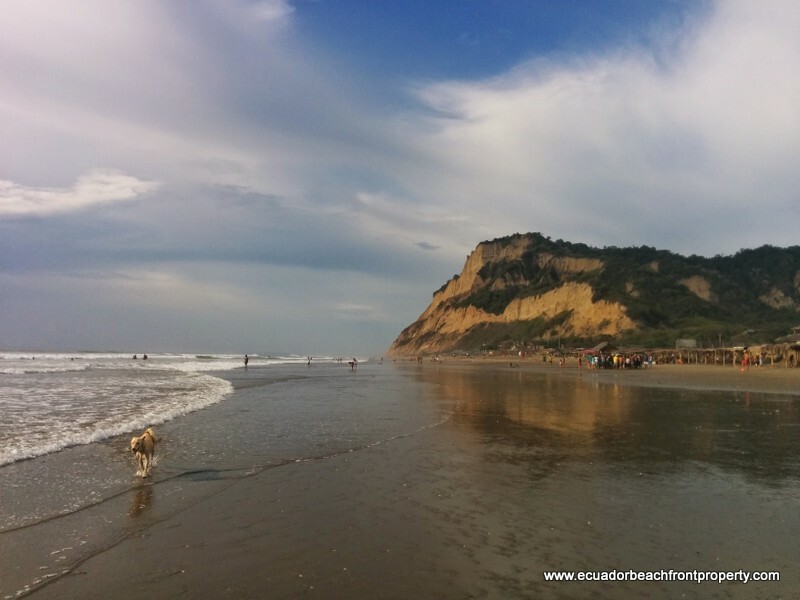 This entry was posted in Family Life, Living in Ecuador, the good life, Tom Saunders, what to do in Ecuador and tagged beach, Manabi, San Clemente, Tom Saunders, weekend by Tom Saunders. Bookmark the permalink.